PARK CITY, Utah – Halfpipe skier Simon d’Artois is expected to make a full recovery after suffering a concussion and blacking out for about 10 seconds Saturday when he smacked his head during a fall at the U.S. Grand Prix. Kelley Korbin, manager of media relations for the Canadian Freestyle Ski Association, said a CAT scan was normal but d’Artois continues to experience concussion symptoms. He will remain in the hospital, likely overnight, until he feels better. The skier’s father is with him at the hospital. 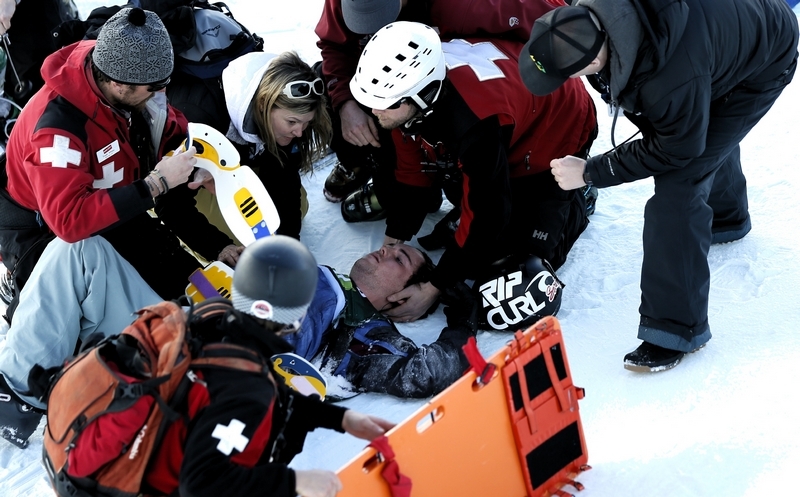 D’Artois fell near the top of the 22-foot superpipe and slid to the bottom unconscious. Ski patrol immediately was on the scene and attended to him for about 20 minutes before taking him off in a sled. He was wearing a neck brace but flashed a “rock on” sign with his right hand as he left the venue. Five of the 12 men in the finals fell Saturday. France’s Benoit Valentin appeared to injure his left knee. American David Wise won the event. Canadian freestyle pioneer Sarah Burke crashed on the same halfpipe last year while training and died a week later from the injuries. The dangers of winter action sports came into focus again this week when freestyle snowmobile rider Caleb Moore died after a crash at the Winter X Games. Korbin said Burke’s death likely was a big reason for the extra precaution. She said the team also had no problem with the Park City halfpipe. The skiers competing also had no complaints about the halfpipe, though they acknowledged the walls are more vertical than others. He said he changed his second run after seeing the crash, downgrading to a double.